Rick is a folksinger/songwriter from Franklin, WI who performs a blend of traditional folk ballads and tunes along with his own original songs and favorites by others including Bill Staines, John Denver, Joel Mabus and Stan Rogers. An accomplished autoharp player, he was the champion at the 2009 Mountain Laurel Autoharp Gathering, widely considered to hold the world’s premier autoharp competition. 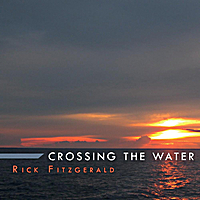 His latest CD entitled “Crossing the Water” tells of tales of love, humor and hope from the oceans & Great Lakes to the High Plains. An accomplished autoharp player, he was a contest finalist at the 2007 and 2008 Mountain Laurel Autoharp Gatherings, widely considered to be the world’s premier autoharp competition. 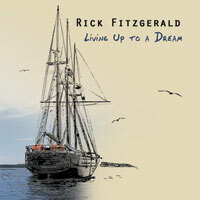 His debut CD entitled “Living Up to a Dream” tells of tales of love, humor and hope from the oceans & Great Lakes to the High Plains. Here’s your anodyne to the sameness of the annual “Jingle Bells” playlist! Join the Cyberpluckers and their friends in their cozy song circle as they share their favorite uncommon and original seasonal song arrangements plus a few familiar ones. 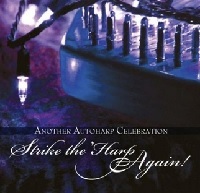 Every track features the autoharp either solo or as part of an ensemble. Listen to clips from all the tracks, or order your own complete copy. 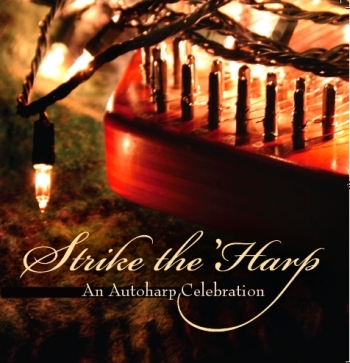 Strike the ‘Harp is a unique double CD of songs and tunes both old and new. Among the 47 tracks, each arranged and executed by a different artist, you’ll find old favorites like Silent Night, Blue Christmas, and I Saw Three Ships side by side with soon-to-be-classics like Make My Present Small, Chocolate Box Baby, and Christmas at the Schoolhouse.